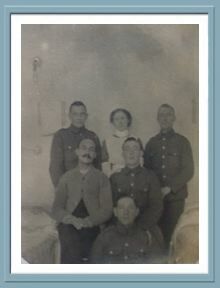 Only a few miles away, in the peaceful heart of the ancient Kingdom of Elmet of which old Leeds formed part—at Aberford, renowned in earlier times for its health-giving properties— Colonel and Mrs. Trench Gascoigne kept open house for more wounded soldiers. 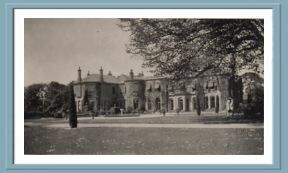 Their beneficent work at Lotherton Hall started on November 21st, 1914, eighteen beds being provided until July, 1916, when the number was increased to thirty-five, with the result that a hundred men found accommodation and treatment here in the six weeks immediately following. 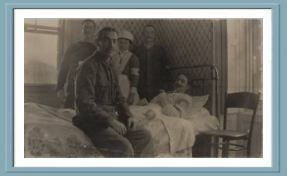 When the hospital closed on March 28th, 1919, 655 patients had been treated. Colonel and Mrs. Gascoigne not only equipped the place as a hospital but bore the whole expense of maintenance. 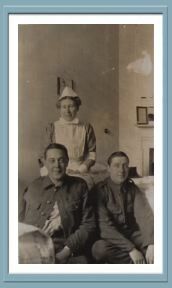 The nursing staff comprised two trained nurses and two V.A.D. nurses, with a trained masseur and a ward maid, and the domestic duties were performed by the regular house staff. 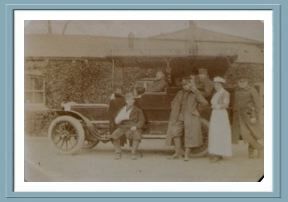 Valuable voluntary help was given by the local medical men ; Dr. Abbott, M.B.E., and Dr. Sykes, M.B.E., were regular visitors, and visits were also paid by Dr. Pickersgill and Dr. Scatcherd. Mrs. Gascoigne enhanced the value of her distinction as a Lady of Grace of the Order of St. John of Jerusalem not only by her general supervision as Commandant but by personal service; Miss Routledge was Quartermaster and Miss Thompson (mentioned) the Matron. Such was the hospitable feeling and cheerfulness of the place that it speedily became known as " a home in every sense of the word." The sunny south side of the house was given up to the patients, who occupied the best bedrooms. These rooms looked over the beautiful gardens and park, gave direct access to the patients' dining room, and were conveniently near a stairway lending to the recreation room in the Court yard, and to the entrance hall where every other Sunday afternoon service was conducted by the Rev. B. W. S. Walwyn, Vicar of Aberford. In the same hall meetings were arranged en famille for whist drives, concerts, and dramatic entertainments organised by Miss Gascoigne, and always there was a variety of recreation possible, even a chance sometimes of going out shooting with Colonel Gascoigne when he came back from the Front. 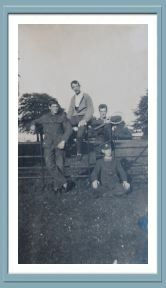 That the men relished it all was shown by the many thankful letters received from them after they left. In the Souvenir Record, compiled by Colonel C. W. E. Duncombe, County Director, Lotherton is described as " the most valuable contribution of its kind made by any private individual in the West Riding to the cause of the sick and wounded soldiers."